The Planning Studio prepared a master plan for the redevelopment of a 71 hectare (175-acre) existing lumber “company” town in Humboldt County, California. The company lumber town was developed A.B. 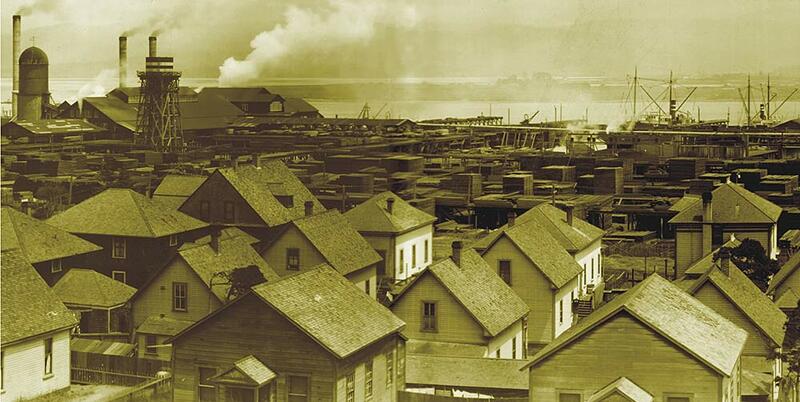 Hammond Lumber Company in the late 1800‘s and early 1900‘sThe project was completed in association with RNL Design. Proposed development includes the renovation and re-use of several historic structures, including the Samoa Cookhouse, Samoa Mercantile, Samoa Firemans’s Hall and Samoa Post Office. It also provides for the provision of new retail development, a 75-room lodge, spa, conference center, maritime museum, soccer center and performing arts center. New residential development encompassed an additional 8.8 hectares of land and includes 25 high-end custom home lots, 136 market house lots, 23 multi-family units, 68 affordable housing units and 56 senior living units. The Planning Studio was also instrumental in assisting the client in obtaining required amendments and approvals of the County Zoning and General Plans and the California Coastal Commission. For: Samoa Pacific Group.